1.0.0.1 For This Process Click On Forget Password. 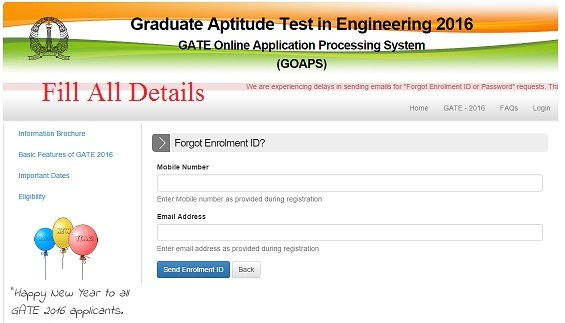 1.3.1 After All the process login via Enroll ID and Password & Download the admit card. For This Process Click On Forget Password. 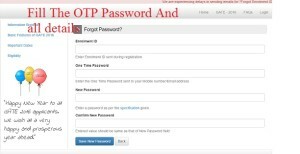 Click on Request to OTP. & Fill All the details. 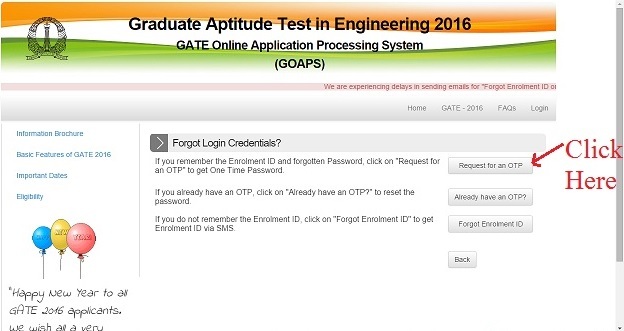 We are experiencing delays in sending emails for “Forgot Enrolment ID or Password” requests. This is likely to continue for the next three days. 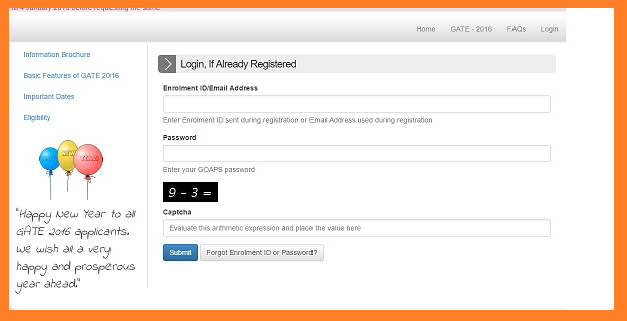 If you have forgotten your Enrolment ID or password, we recommend you wait until 4 January 2016 before requesting the same. 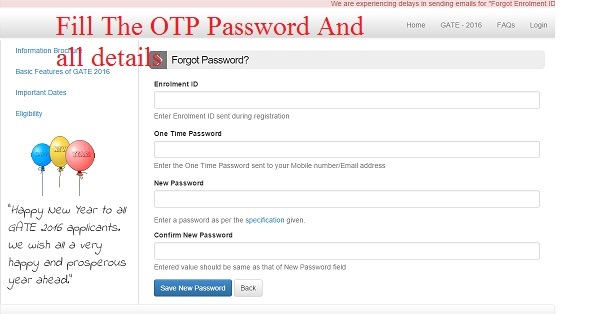 IF you have OTP[Click On Already have an OTP], then fill the OTP & create a new password for download your admit card. 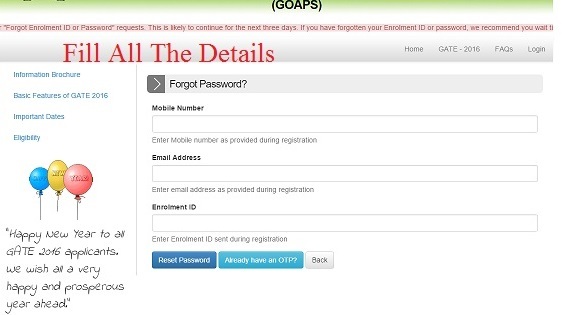 If you forget the enrolment ID, then Click on Forget Enroll Id & Fill All the Info. 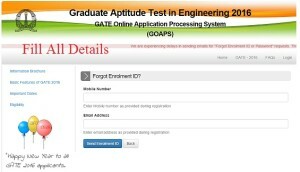 After All the process login via Enroll ID and Password & Download the admit card. 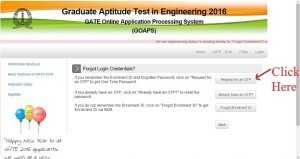 Gate 2016 Admit Card Issue, Download Admit Card With OTP, Gate admit card id forget problem, Gate 2016 OTP problem, Gate 2016 Password Problem.